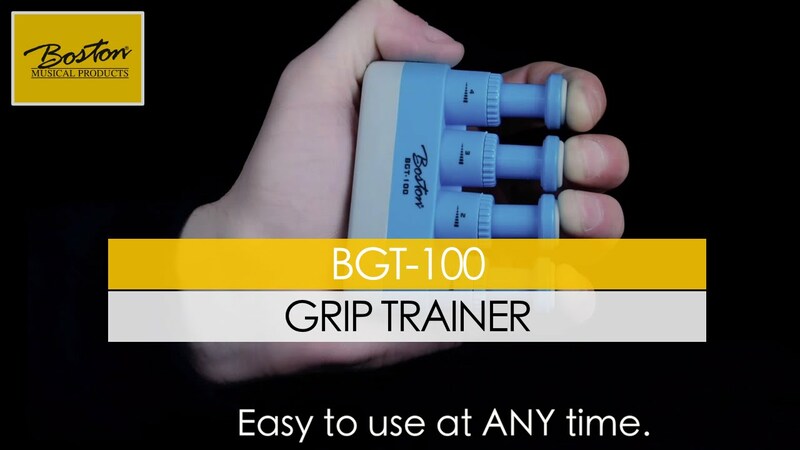 The Boston BGT-100 Grip Trainer is designed to train and strengthen the agility and endurance of your fingers, hands and forearms. Experienced guitarists know that keeping the playing technique is essential to be able to express yourself musically . Here the BGT-100 comes in handy. It is simple and effective to use and therefore easy to use in a warmup for performances or rehearsals , but also to thoughtlessly train your technique at times or in front of the TV. The resistance of the springs can be set by each finger for a custom ' work-out ', whenever you want. It's an indispensable accessory for guitarists and basists.